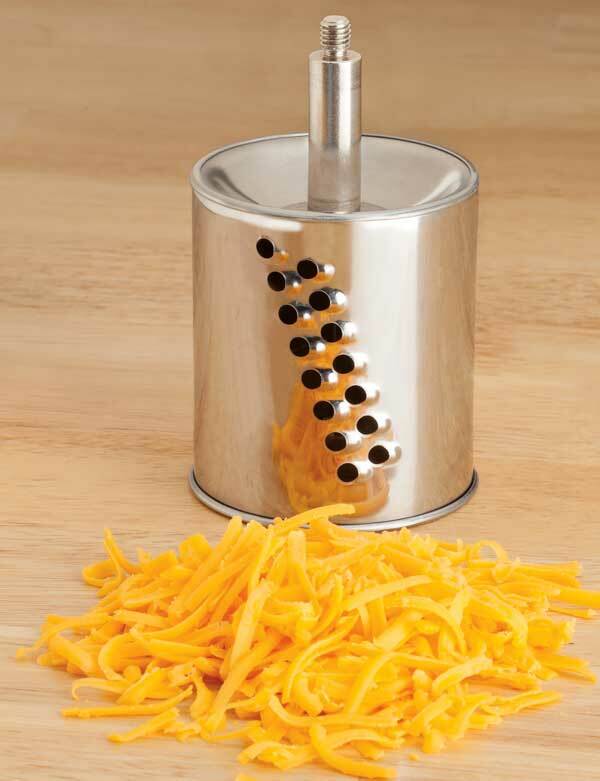 Cousin Nico’s Cheese Grater uses a suction base that attaches securely to any clean, smooth surface. Drum A – finely grates nuts, chocolate, hard cheeses, breadcrumbs and vegetables. 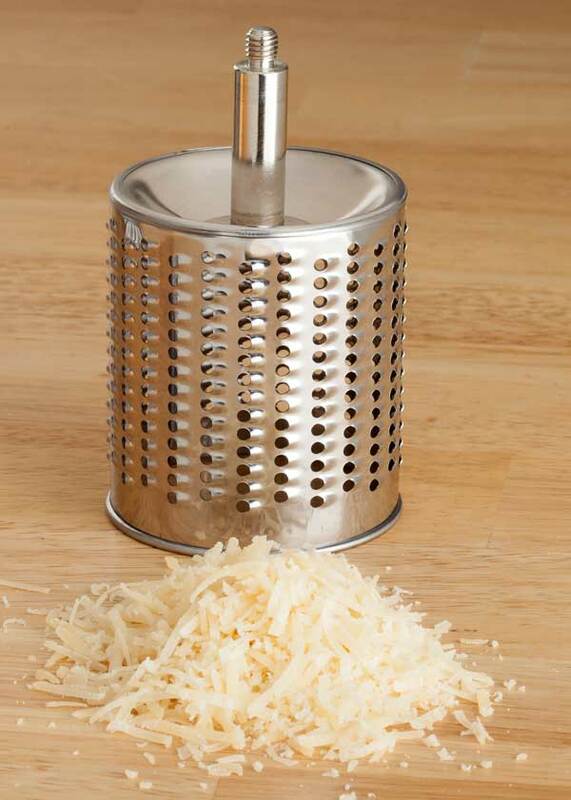 Drum B – coarsely grates semi-soft cheeses (cheddar or firm mozzarella), and shred vegetables. Wash drums in warm, soapy water. Wash stand and drain base well. Pull rubber base away about 1/4″ and air-dry. Recipe booklet and instructions included.